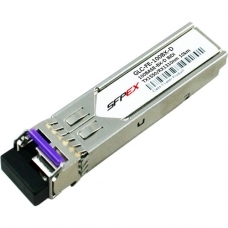 SFPEX is the original manufacturer of Cisco SFP GLC-FE-100BX-D - Cisco 100BASE-BX10-D SFP module for 100-MB ports, 1550 nm TX /1310 nm RX wavelength, 10 km over single-strand SMF . 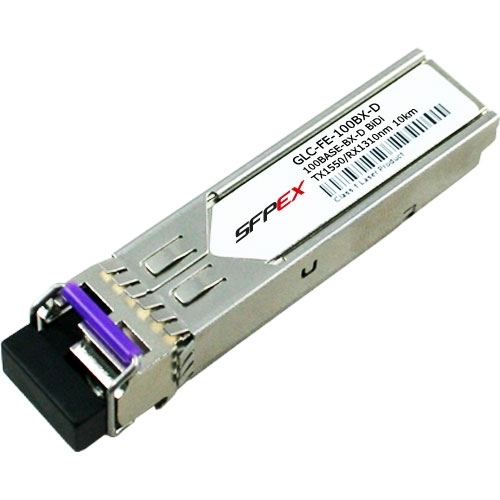 We have ready stock for GLC-FE-100BX-D and can ship it out in two business days. We guarantee the GLC-FE-100BX-D transceiver module to work in your system and all of our GLC-FE-100BX-D transceiver modules come with a lifetime warranty. The GLC-FE-100BX-D is a Class 1 laser product. It fully complies with the multi-sourcing agreement (MSA) which enables it to work in all MSA compliant platforms. The GLC-FE-100BX-D must be operatred within the specified temperature and voltage limits. The optical ports of the module shall be terminated with an optical connector or with a dust plug.